Nyala Wonder Travel invites you to visit the City of Flowers for the San Remo Yacht Club Regatta for a thrilling experience that combines sport and the sea. First organized in 1956, the San Remo Yacht Club Regatta is part of a widespread sailing tradition on the Ligurian Riviera that dates back to the early 1900’s. 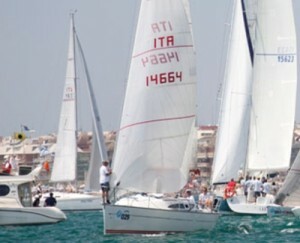 Always the scene of major competitions like the Coppa d’Italia, the San Remo seafront is an important location for many annual sailing events. This year as usual the calendar presents a full program of events, about a dozen planned competitions, all of great interest. Our agency offers participants, crews, and all sailing enthusiasts special rates for overnight stays on the occasion of the San Remo Yacht Club Regatta. In addition we are able to provide every type of additional service, including transfers to and from airports, as well as excursions to explore the Ligurian Riviera and the nearby French Riviera.